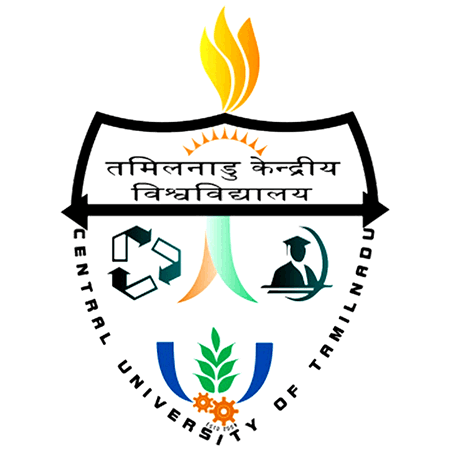 CUTN Recruitment 2019: Central University of Tamil Nadu (CUTN) / cutn.ac.in is conducting recruitment processes to fill 2 vacancies. As of now, there are four recruitment drives going on for Research Associate Post, Project Assistant Post and others. CUTN Recruitment 2019 - Walk in for Project Assistant Posts on a project entitled "Menstruation and myths: Communication strategies to Promote healthy practices among rural women" in Department of Social Work & Department of Media and Communication, CUTN, Tamil Nadu. Candidates are invited by Central University of Tamil Nadu (CUTN) to attend walk-in-interview to be held on 28 Mar 2019 10:30 AM for 3 vacancies. CUTN Recruitment 2019 - Walk in for Contract Teaching Posts in Applied Psychology, CUTN, Tamil Nadu on Contract Basis. Candidates are invited by Central University of Tamil Nadu (CUTN) to attend walk-in-interview to be held on 26 Feb 2019 at 02:00 PM for 3 vacancies. CUTN Recruitment 2018 - Field Investigator Post on a project entitled " E-Maturity and Digital Culture among the Teacher Education Institutions in relation to certain Psycho –Social variables " in CUTN, Thiruvarur, Tamil Nadu on Temporary Basis. Candidates are invited by Central University of Tamil Nadu (CUTN) to attend walk-in-interview to be held on 10 Jan 2019 02:30 PM for 1 vacancy. CUTN Recruitment 2018 - Walk in for Contract Teaching Posts in CUTN, Tamil Nadu on Contract Basis. Candidates are invited by Central University of Tamil Nadu (CUTN) to attend walk-in-interview to be held on 18 & 24 Dec 2018 for 6 vacancies. CUTN Recruitment 2018 - Job notification for Project Assistant Post on a project entitled " A Study on the Influence of Social Media on Academic Performance of College Students in Coimbatore " in Department of Media and Communication, CUTN, Tamil Nadu on Temporary Basis. Applications are invited by Central University of Tamil Nadu (CUTN) on or before 11 Jul 2018 for 1 vacancy.